Redding CA – Redding Real Estate -Listing and Selling Your Home–it’s not rocket science on how to sell your home. It is however a complex model that involves real estate experience and knowledge, technology and professional marketing. We sell our listings and we do that because we pervasively market our listings on the WEB. Jeanean is a Top Producer with 14 years of experience in real estate. We were the Top Producer for our Company in 2013 and received the Top Agent Award for Closed Units for the Real Living Franchise, nationwide 2012. We are seasoned WEB developers and own our own Software Development Company and we are professional marketers. We sell our listings. Price—is the most important aspect of getting your home sold. You must be competitive in price for Buyers to perceive the value and choose your home over the competition. If you are priced above market value then Buyers will choose other homes because they are a better investment opportunity. All the marketing in the world cannot sell a house that is over priced. Condition—determines a critical component of market value and what price you can sell your home for. If you have maintained your home and there are no issues or deferred maintenance, you will be able to expect market value for your home. Older homes that are updated or remodeled will have better market value. Deferred maintenance and problems that need to be repaired lower the value of your home. You can sell any home in any condition as long as you provide the incentive for the Buyer to take on the repairs or deferred maintenance. That means Price = Condition. Problems or repairs mean a lower market value and price. Presentation—is a key factor in selling your home. If your home is cluttered, dirty and messy you can equate that to the fact that it will NOT sell. Buyers will buy homes that need repairs but they typically won’t buy messy homes. Staging a perfect home to provide the Buyer a vision of the lifestyle they can enjoy in your home sells homes. A touch of flowers and clear counter tops are all invitations to Buyers to fall in love with your home. Flowers in the garden and the lawn mowed mean you have loved the home. Buyers buy homes that have been loved. Clutter and mess kills the deal. Availability—Buyers need to see your home and accommodating showings is very important. If you have dogs, then be prepared to take the dogs and go for a drive. It’s not fun but it’s the right thing to do. Buyers need to see the property and a garage that is off limits because your dogs are barking and growling is not the vision we are trying to sell. Keeping the house ready to show and being prepared to be able to show within an hour’s notice is important. It is best if you can take a drive and allow the Buyers and their Agent to visit with your home in privacy. Valuables must be put away safely and the house must be prepared to be shown. Your listing agent will work with you to make sure the house is secure and that your valuables are safe. Your listing agent my be required to be available for all showings based on need. Beautiful Signage—Homes sell because there is a sign and people drive by and call to learn more about the property. It is not one thing that sells your home but all the things we do to give Buyers information and to give your property exposure. Drive by Buyers buy homes. It is not the only way that homes get sold but it remains a key element that can sell your home. Working with the Right Realtor—is critical to your success in selling your home. You will need a Realtor who understands the trending real estate market and how to price and market your home. This means that this Realtor sells a lot of homes and has years of experience in dealing with real estate. The goal of your Realtor is to protect you and to conduct a safe transaction that achieves your financial goals. Photography and Marketing—Beautiful photography and marketing are so important in providing the Buyer with the experience of the property. If the marketing materials are compelling then the Buyer engages and wants to know more about the property. They are pre-sold before viewing the property. Video and “telling the story of the property” is what marketing is all about. When we can convey what the actual experience of what the property is like, we have successfully presented to the Buyer the lifestyle possibilities. Selling the lifestyle is what Buyers want to buy. Marketing the WEB—technology and marketing have changed in the last 10 years drastically. It is imperative that your Realtor understands technology and how to effectively market your home on the WEB. You should visit their websites and Google their name to see what kind of WEB presence they have. They should have multiple websites and a presence on most Social Media sites. Selling you home no longer involves just putting it on the MLS. Social Media Marketing allows us to create a circle of engagement for Buyers to find your home on the WEB. We are able to pervasively market the WEB through our websites, Facebook, LinkedIn, Google+, Twitter and other Social Media Sites. We target our local, regional, national and international Buyers and they find your Home on the WEB. When we understand SEO and how to rank at the top of Internet Searches, the result is that your Listing is found by Buyers and is SOLD! S yndication—to the major real estate sites. Marketing to the MLS and the local real estate agents is fundamental. Utilizing the photography and marketing materials for the MLS and syndicating your listing to the major real estate sites. Zillow, Trulia and Realtor.com provides major exposure for Buyers to find your home. Your home’s presence on these sites will be beautiful and compelling. It’s not one thing we do but all the things we do that result in your home selling. Redding CA – Redding Real Estate – Lisitng and Selling Your Home – Marketing the WEB – MARK IT SOLD–Selling your property in Redding CA is simple. When we bring together the right components to pervasively market your property, the result is that we sell your property. Combine the right price point, beautiful marketing (photos and video), target the right Buyers and pervasively market the WEB, the result is your property being SOLD. With 15+ websites, we are able to target and market to the local, regional, national and international markets. 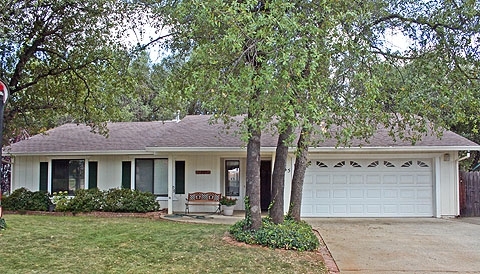 Redding CA – Redding Real Estate – Listing and Selling Your Home – Marketing the WEB – MARK IT SOLD – Jeanean and David Gendron – Specializing in Marketing and Selling Unique Properties–what you need is an experienced real estate agent that knows the trending market and understands the power of technology and marketing the WEB. We have over 15 websites that we use to pervasively market your listing on the WEB. We target Buyers looking for the lifestyle and property you have developed. It’s not rocket science, it just connection. 90 percent of Buyers search on-line for the properties they are looking for. We make your listing available so that the right Buyer can find it. Jeanean and David Gendron – Specializing in Marketing and Selling Unique Properties–We love where we live and work and we love our listings. This is why we specialize in marketing and selling unique properties that have been developed to the highest and best use of the land. It is a privilege to market a well developed property that promotes a lifestyle Buyers are looking for. It’s not really about a price range but about the lifestyle and the Buyer who will find that it has value. BUYERS: If you are looking to relocate to the North State download our free RELOCATION GUIDE. It has local demographics and photos of the beauty of the surrounding areas. We love living and working here in Shasta County, California. We are photographers and so we share the beauty with you. 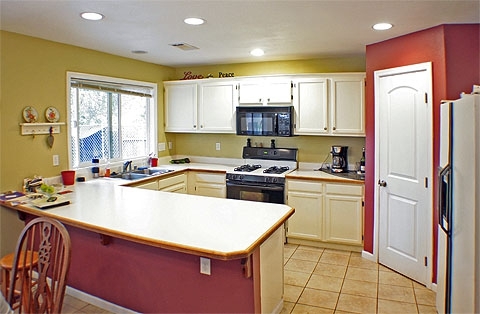 We also provide you with a FREE MLS ACCOUNT for ALL ACTIVE LISTINGS IN SHASTA COUNTY, CA. You are able to save searches and receive email notices for new listings. Real time data that helps you understand the market values in Shasta County, CA. Anderson CA – The Shasta Lifestyle – Elegance and Lifestyle–Everything comes together to create that opportunity to purchase a property that has been beautifully developed. With attention to all the details and to support a lifestyle that is supported by the land. Built around the “Western” tradition and a lifestyle of elegance and a love of horses, this property is has much to offer. The finest amenities are offered in the main house and in the guest house. The Barn and 2 sanded round pens support all aspects of the lifestyle. Shasta County CA – Listing and Selling Your Anderson CA Property – MARK IT SOLD–Selling your property in Shasta County CA is simple. When we bring together the right components to pervasively market your property, the result is that we sell your property. Combine the right price point, beautiful marketing (photos and video), target the right Buyers and pervasively market the WEB and the result is your property being SOLD. With 15 websites, we are able to target and market to the local, regional, national and international markets. Shasta County CA – Listing and Selling Your Anderson CA Property – Jeanean and David Gendron – Specializing in Marketing and Selling Unique Properties–what you need is an experienced real estate agent that knows the trending market and understands the power of technology and marketing the WEB. We have over 15 websites that we use to pervasively market your listing on the WEB. We target Buyers looking for the lifestyle and property you have developed. It’s not rocket science, it just connection. 90 percent of Buyers search on-line for the properties they are looking for. We make your listing available so that the right Buyer can find it. Mark it SOLD! Jeanean and David Gendron – Specializing in Marketing and Selling Unique Properties–We love where we live and work and we love our listings. This is why we specialize in marketing and selling unqiue properties that have been developed to the highest and best use of the land. It is a priviledge to market a well developed property that promotes a lifestyle Buyers are looking for. It’s not really about a price range but about the lifestyle and the Buyer who will find that it has value. MARK IT SOLD! Redding CA – Marketing and Selling Your Redding Home on the WEB! Redding CA – Marketing and Selling Your Redding Home on the WEB–Build it and they will come, Buyers that is. When we pervasively market the WEB with our Listings, we sell our Listings. With over 15 websites, we can target Buyers on a local, regional, national and international basis. Whe you have the right price point, beautiful marketing (photos and video) and 15 niche market websites….we do find the right buyer. Redding CA – Marketing and Selling Your Redding Home on the WEB–Visit our marketing examples tab to see some of the beautiful properties we have marketed and sold. We endeavor to capture the experience or the lifestyle of the property. When Sellers have developed a property to the highest and best use of the land, we have a property that deserves only the best presentation. It’s not about price range as much as it is about lifestyle. We specialize in marketing and selling unique properties. We love what we do and we sell our listings. Redding CA – Marketing and Selling Your Redding Home on the WEB – MARK IT SOLD–Selling your property in Redding CA is simple. When we bring together the right components to pervasively market your property, the result is that we sell your property. Combine the right price point, beautiful marketing (photos and video), target the right Buyers and pervasively market the WEB and the result is your property being SOLD. With 15 websites, we are able to target and market to the local, regional, national and international markets. 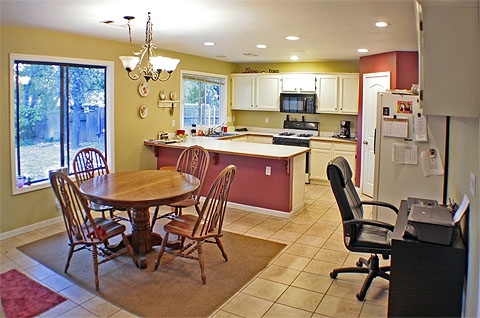 Redding CA – Marketing and Selling Your Redding Home on the WEB – Jeanean and David Gendron – Specializing in Marketing and Selling Unique Properties–what you need is an experienced real estate agent that knows the trending market and understands the power of technology and marketing the WEB. We have over 15 websites that we use to pervasively market your listing on the WEB. We target Buyers looking for the lifestyle and property you have developed. It’s not rocket science, it just connection. 90 percent of Buyers search on-line for the properties they are looking for. We make your listing available so that the right Buyer can find it. Mark it SOLD! Shasta County CA – Listing and Selling Your Property on the WEB – Jeanean and David Gendron – Specializing in Marketing and Selling Unique Properties–Selling your property in Shasta County CA is simple. When we bring together the right components to pervasively market your property, the result is that we sell your property. Combine the right price point, beautiful marketing (photos and video), target the right Buyers and pervasively market the WEB and the result is your property being SOLD. With 15 websites, we are able to target and market to the local, regional, national and international markets. Shasta County CA – Listing and Selling Your Property on the WEB – Jeanean and David Gendron – Specializing in Marketing and Selling Unique Properties–what you need is an experienced real estate agent that knows the trending market and understands the power of technology and marketing the WEB. We have over 15 websites that we use to pervasively market your listing on the WEB. We target Buyers looking for the lifestyle and property you have developed. It’s not rocket science, it just connection. 90 percent of Buyers search on-line for the properties they are looking for. We make your listing available so that the right Buyer can find it. Mark it SOLD! Redding Real Estate Ramblings – Living the Shasta Lifestyle! Redding Real Estate Ramblings – Living the Shasta Lifestyle–Living here in Shasta County offers you a diverse environment surrounded by three mountain ranges. We love living and working here and we enjoy photographing and sharing the beauty of the area. Redding Real Estate Ramblings – Living the Shasta Lifestyle–I live in a beautiful area of vast wilderness areas along with three mountain ranges that are spectacular and offer me views in all directions. The Sacramento River courses through Shasta County as it travels Southward. Living life as an a art form is possible here in the Shasta County, California. Whether you want the urban lifestyle or a country place, you can find the very best and at a price that is reasonable. This website is dedicated to providing you with proof of the beauty with localism posts combined with another love of mine, photography. As we travel three Counties in our real estate work, we stop along the way to photograph beautiful places. We have a series we call “Perfect Days in Perfect Places”. Come along on a tour of the North State..
Redding Real Estate Ramblings – Living the Shasta Lifestyle–I have showcased the communities and cities of Shasta County, California. Explore and enjoy each community or City. It will provide a brief overview of the community or City and the lifestyles that they offer. As time goes on and we travel and work in the North State, we will be sharing here on The Shasta Lifestyle. I enjoy life and embrace many things. I have a love of photography, fly fishing, wilderness areas, wild flowers, birding, hunting trout, gardening, cooking, opera, jazz, poetry and lively conversation. Join me as I chronicle Life in the North State through my writing and photography. This website is dedicated to the beauty that surrounds us. Redding Real Estate – Short Sale Information – 25 Billion Dollar Mortgage Services Settlement! Mortgage Services Settlement–the United States Department of Justice announced a recent settlement with five major banks accused of robo-signing and other fraudulent foreclosure practices. The $25 billion dollar settlement (with $4 billion pending other smaller banks (9) involved Bank of America, Ally, Chase, Citi and Wells Fargo. $5 billion consisting of $2000 payments to borrowers who were foreclosed on between January 1, 2008 and December 31, 2011 and who were subjected to the fraudulent practices. $10 billion will go to the borrowers who are delinquent on their mortgages. $7 billion towards assisting homeowners through short sales, forbearance relocation assistance or other alternatives. $3 billion will be spent helping borrowers who own more than the value of their home to refinance. The Banks have 30-60 for the Banks to select an administrator to handle logistics of the settlement and to monitor compliance. The next 6 to 9 months the settlement administrator and the Attorney General will identify homeowners eligible for immediate cash payments and notify them by mail. It anticipated that the settlement will be completed within 3 years. Dual-track Foreclosures (working with the homeowner on modification of the loan while simultaneously pursuing foreclosure) is forbidden. Fannie Mae and Freddie Mac insured loans are not impacted by this settlement. Special recourse is in place for Servicemembers who were charged over 6% interest rates after a valid request to lower their rates under the Servicemembers Civil Relief Act (SRCA) or who were wrongly foreclosed on. Money will be distributed differently fro different states. it is my mission to give homeowners the gift of a fresh start or to find alternatives to foreclosure that allow you to remain in your home. Contact me TODAY and let’s get started. I am Jeanean Gendron, your Redding and Shasta County Specialist. Visit my website to learn more about the Settlement and about Avoiding Foreclosure. You can reach me at 530 276-7417. 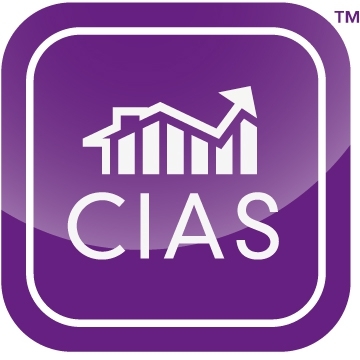 I answer my phone I hold the Certified Distressed Property Expert, CDPE and the Certified Investment Agent Specialist, CIAS designation. I have taken special training so that I may help my clients in all their Real Estate Investment needs. Knowing the Alternatives to Foreclosure in this market is critical in helping my clients. 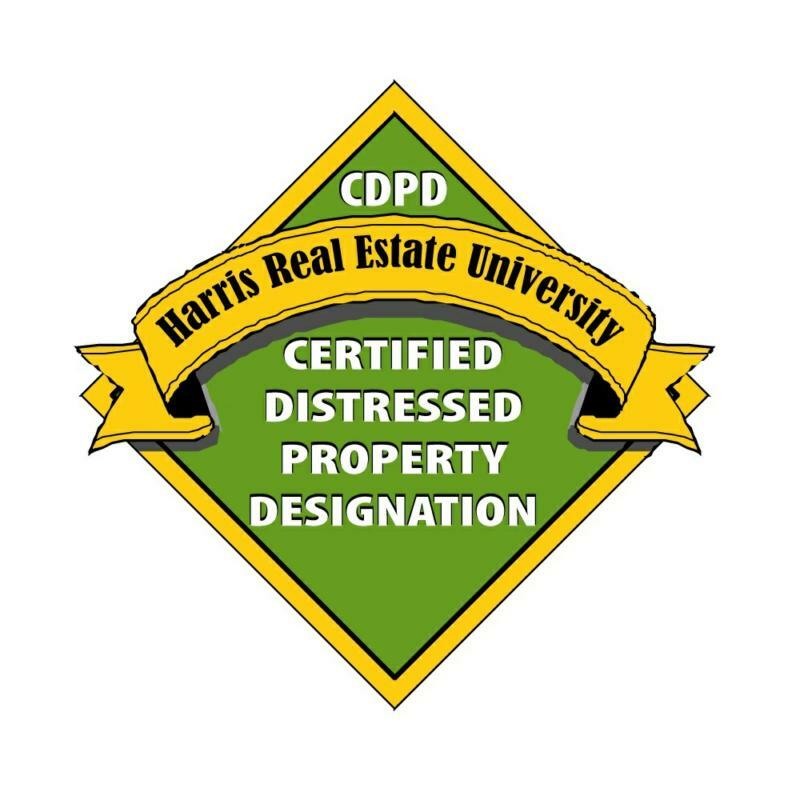 The Certified Distressed Property Expert Designation (CDPE) is verification that a REALTOR® has taken the initiative to become an educated and prepared advocate on the behalf of a homeowner in distress. 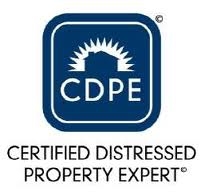 Earned by completing a comprehensive curriculum via the Distressed Property Institute, real estate agents with the CDPE designation are equipped with the expertise to help distressed property owners avoid foreclosure. 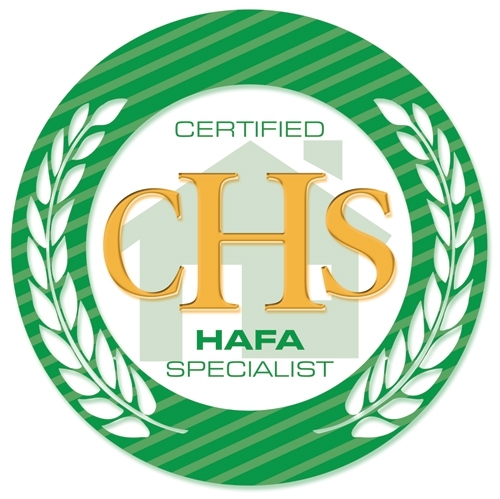 As a CDPE designated REALTOR®, I am committed to helping people who are facing foreclosure by finding the right solution for their individual needs and seeing the issue resolved. A portion of my CDPE designation course work involved short sales. Previously, short sales were a rarely accepted alternative by lenders, but in today’s world they are increasingly becoming a viable option. Although more common in recent years, lender’s still want the right deal with the right paperwork, and most real estate agents without the CDPE designation do not know the specifics. The CDPE course has taught me how to submit the proper documents to a variety of lenders as well as negotiation skills, allowing for quick resolve to a short sale. 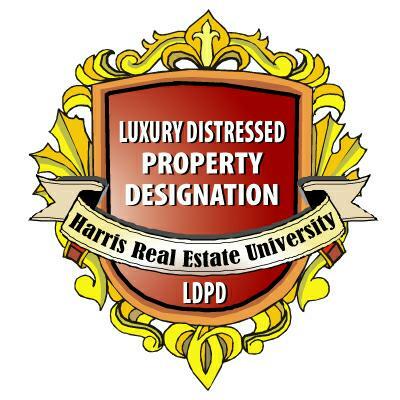 The education of a CDPE designated agent is continual, as CDPEs from across the county provide information to the Distressed Property Institute for a continual flow of new information to share with other CDPE designated agents. Redding Real Estate – Homes for Sale – Short Sale Opportunity! Redding Real Estate – Homes for Sale – Short Sale Opportunity–This sweet home shows the pride of ownership with updated touches that one finds very appealing. 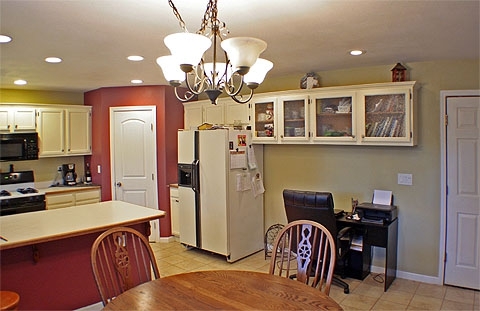 From building a pantry for the kitchen to a skylight and new tile flooring, you have a home that has been cared for. 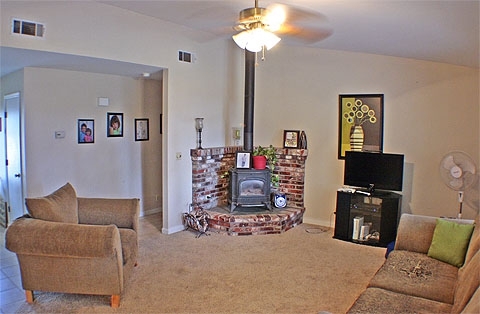 Located in the Edgewood Community and centrally located for Redding. Open floor plan and integrated living offer for flexible lifestyles. Apeal and style are visable in the distinctive touches. Cozy Free Standing stove to keep you warm on Winter snuggle nights. Roomy Master Bedrom with lots of light. Short Sale Opportunity in a Great Location. Visit my main real estate website that provides you with the ability to Search the MLS and to set up an account so that you can save searches and select favorite properties. I also have many saved searches for you to take advantage of. There are saved City Searches and Community Searches. We also save Foreclosure Listings and Short Sale Listings. Visit and learn more about The Shasta Lifestyle and the experience of living here in Shasta County. 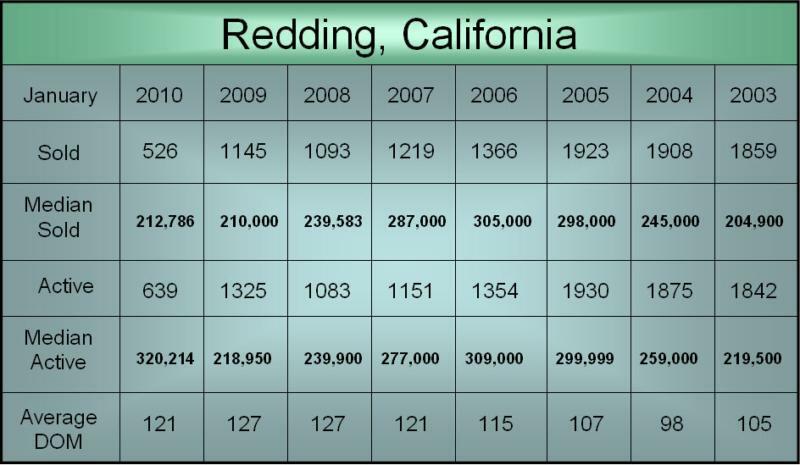 Year by Year Comparison for Redding, CA. Redding Real Estate – Redding & Shasta County CA Market Report – YTD 2010–Interest rates continue to be at all time lows. It continues to be difficult to get a loan. New RESPA laws require new certifications for loan officers. Housing sales slowed after the Government Incentives expired. We have seen prices remain stable in 2010 and have in some markets seen small appreciation while seeing the overall activity in the market slow. There continues to be talk of a shadow inventory of foreclosed home yet to come on the market. 20 million homes have been foreclosed on and yet have not come back on the market. As these home enter the market, it will drive down the real estate markets. *Source: MLS, Shasta Association of Realtors, figures are deemed reliable but not guaranteed. The Shasta Lifestyle! Come discover the beauty of Redding and Shasta County. Here are the city of Redding and Shasta County demographics and links to the many things available to the people who live The Shasta Lifestyle here in Redding and Shasta County. Enjoy! Shasta County: Redding, population is 90,033 (in 2000), incorporated in 1887. Average temperature in January is 55 and average July temperature is 98. I am Jeanean Gendron your Redding and Shasta County Specialist. You can reach me at 530 276-7417. Redding Real Estate – Palo Cedro CA – Market Report – YTD 7/31/2010–Plenty of room to roam and only minutes from Redding, this upscale little bit of country with style and grace offers large parcels for mini-ranches many with horse facilities. Diversity in Community Living with gated estates sitting among this small town known for it’s gorgeous Oak trees. Native Oaks trees are the signature image of Palo Cedro. With a wide variety of Oaks including Blue Oak, White Oak, Live Oak and the beautiful Black Oak, you have a gorgeous community. The California Sycamore also thrives in this topography. Still home to some of the big ranches, Palo Cedro has been carved out of these ranchlands and retains it’s rural country charm. The town’s retail center is just off Highway 44 and legendary Merle Haggard lives in Palo Cedro. The Cedar Tree Restaurant is decorated with many antiques that highlight Shasta County history and you just may see Merle Haggard in having breakfast. The Honeybee Festival is always an annual event that draws from all over Shasta County with craft vendors and local entertainment. It small town living at it’s best….right next to the big city of Redding. The charm of the Big Oaks sets the tone for Palo Cedro. 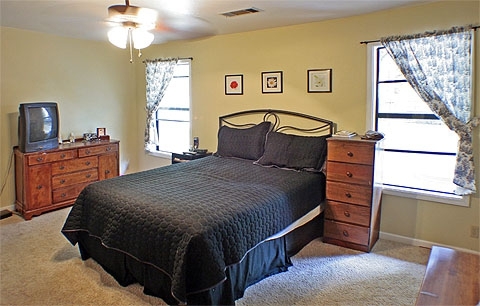 Rural and upscale this sweet community is one of the diverse lifestyles offered here in Shasta County. 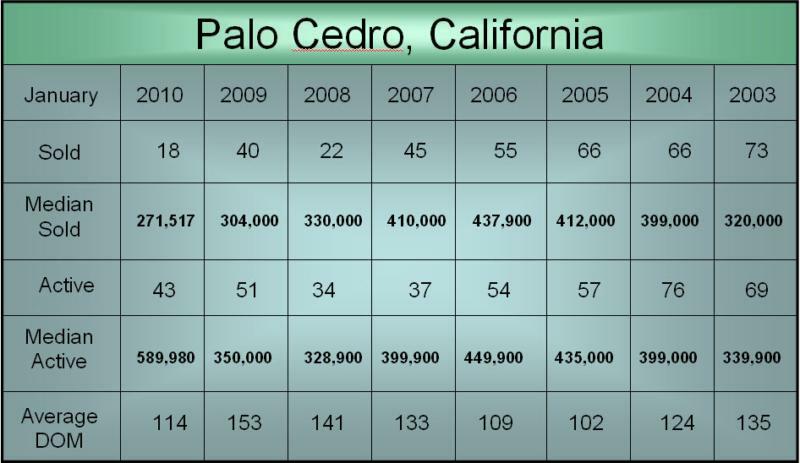 Redding Real Estate – Palo Cedro CA – Market Report – YTD 7/31/2010–Here is review of market trending data from 2003 up to 2010. When we view the market data from a historical perspective, it can help us understand and recognize a new trend. One of stablization and modest growth will be the signs we look for. We are seeing that we have a less severe market decline in this rural areas.This data is interesting. We have larger homes now coming on the market in distressed sales and it is pushing up our Median Actives. Our Median Solds continue to decline. Next quarter will be interesting to see.